what is considered luxury? what does limited edition mean these days? this season, london nottinghill's fashion maven matchesfashion worked with several top design houses to create a series of very limited, luxurious and covetable pieces, only available at matches/editions. i am so drooling after the below 2 pieces. "want" is a very understated word. 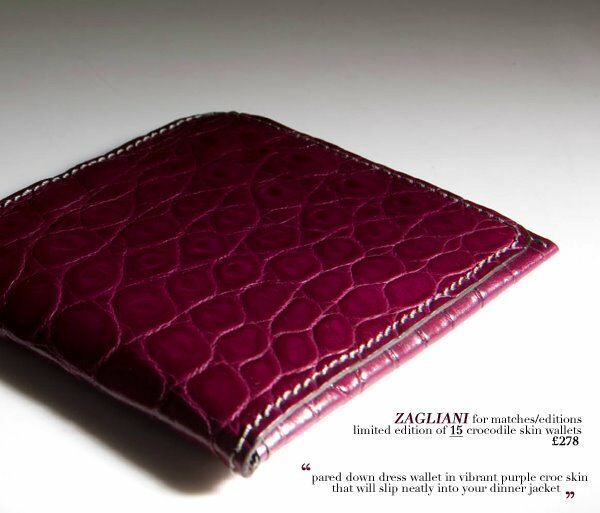 zagliani is famous for the use of exotic skins on it's bags and accessories. 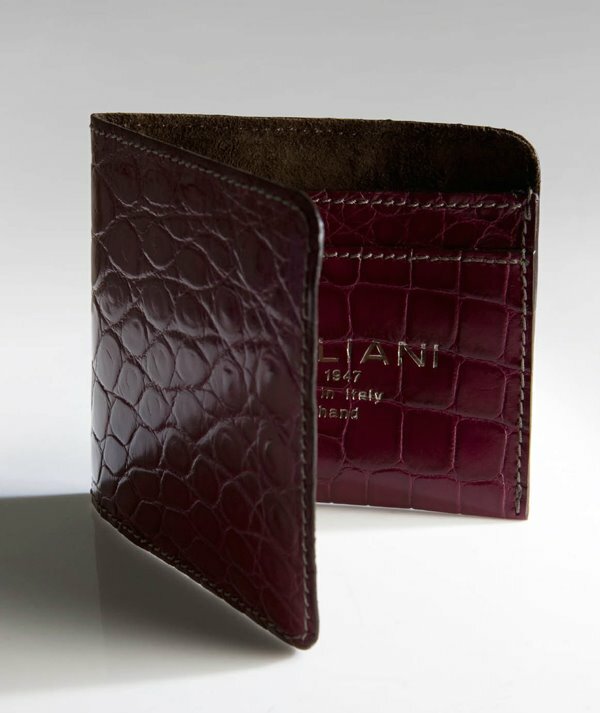 they created this gorgeous croc skin wallet in the absolutely delicious shade of purplish plum. i didn't think it was particularly pricey for a croc skin wallet, i can think of more expensive coated canvas wallets elsewhere. only 15 of these were made, i really reeeeeeally want it. i would like to have a better look at the interiors, how many card slots there are. for lack of better words, i need it now! i'm serious, really! 00o00h this is tempting! 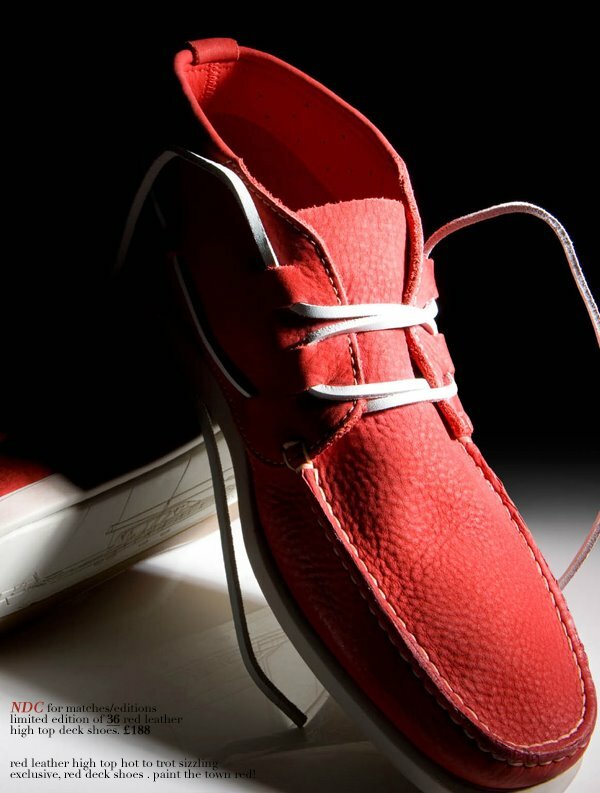 i also love this soft leather hi top deck shoes from ndc, in the perfect shade of red. these would go really well with shorts and shirts in the summer. only 36 were made across a selection of sizes. 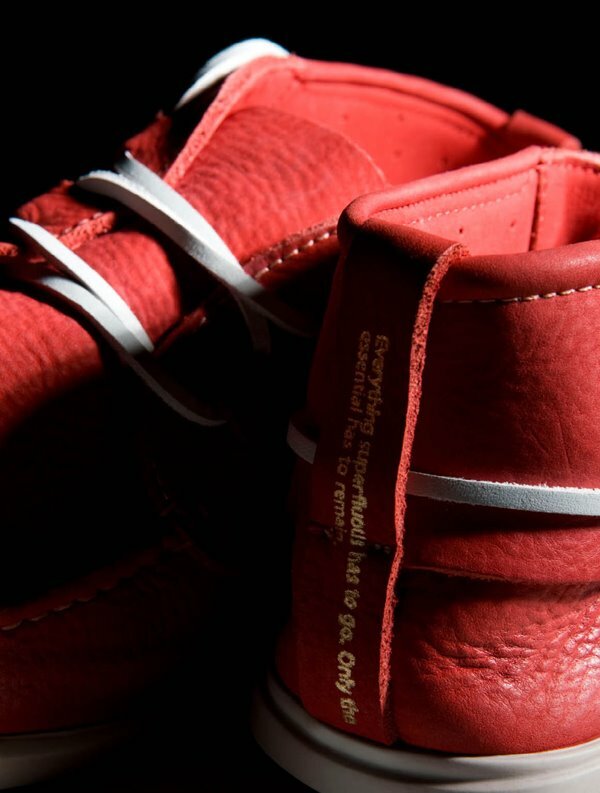 i particularly love the gold letterings on the back of the shoe, that seriously made all the difference in terms of aesthetics. oh i heart! click here to see more exclusive and limited designs from alexander mcqueen, balenciaga, christian louboutin, jil sander etc. very nice, i like a lot! I like the wallet more than the shoes, but I must say that the photos on your site show us why "luxury" items are worth having. Get it Joe! I checked out your link, and I think the Balenciaga clutch is stunning!